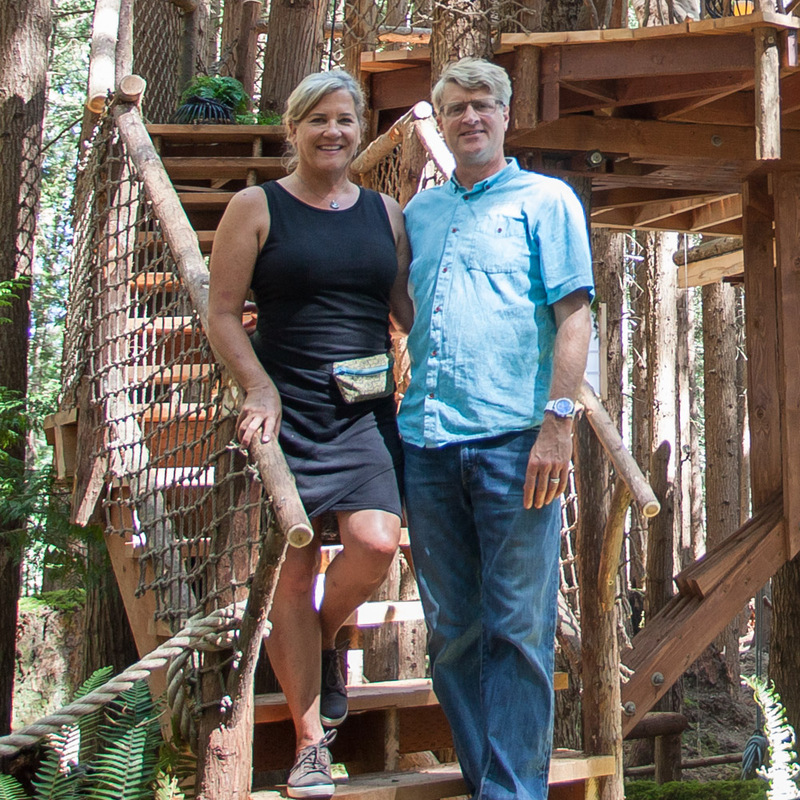 Check out three sensational treehouses by DIY-builders across the country: one in Arizona, one in Texas, and one in Washington State. They inspire us to take to the trees! Cover photo and treehouse by Mike E.
Save 40% on Treehouse Plans this Weekend Only! We know how exciting it is to build your own treehouse, and we also know how challenging it can be. Often, the most difficult part is the design: crafting a safe, fun, and buildable plan. We're here to help you with our 13 plan sets tailored to DIY-ers. And for this weekend only, we're offering a huge discount. To usher in the treehouse-building season this spring, we've revamped one of our classic treehouse plan sets: the Marblemount. Read on to learn the differences between our two new versions of the Marblemount, and to find out which is best for you! Nelson Treehouse carpenter Chuck breaks down the process for designing and building winding stairs for treehouses. Take a look at the prefabrication process behind the octagonal roof of the Treetop Honeymoon Suite! Nelson Treehouse and Supply's shop wizard Griffin walks us through how to frame a treehouse rake wall. He breaks down carpentry terms and the math behind the process, so you can apply the same concepts to your own unique treehouse! Are you as excited about springtime as we are? Have the warmer weather and longer days got you itching to get outside and start building your dream treehouse? We know that feeling and we're here to help! Ever wanted closer look at how the Nelson Treehouse crew attaches the treehouse to the tree? The magic lies in the Treehouse Attachment Bolt, or TAB. This heavy-duty piece of hardware is one of the most important structural elements of treehouse building. Learn the ABCs of TABs! Did you fall in love with the elegantly curved bench inside the Owl's Nest Library Treehouse? Pete based its design on the Fibonacci Spiral! So how did Pete take the Fibonacci Spiral from a number sequence to a buildable design? And how did our carpenters transform it into wood? Read on to find out!